The Women’s Blue-Chip Basketball League (WBCBL) is a new semi-professional league for women basketball players. The WBCBL mission is to prepare prospective professional players for higher-level professional play and to condition current professional players. The competition level varies from former college players to former NWBL / WNBA players. The WBCBL has teamed with local professional basketball scouts and agents to provide maximum exposure for each player to higher-level professional teams. In addition, the WBCBL has built a networking relationship with international scouts to broaden the possibility of higher-level professional jobs being offered. Your participation in the WBCBL will allow your talents and skills to be seen by professional basketball scouts and agents. Our networks of agents & scouts have a proven track record of job placement of WBCBL players, who are currently playing professional basketball. Of course, there is no guarantee that you will be signed to a professional contract. As a WBCBL player, your chances of going pro are about 1 in 20. In the event that you are offered a professional contract, make sure that you have all of your bases covered. There are numerous basketball scams and phony basketball camps that can make a genuine opportunity hard to recognize. Do your research on the offering team and research the geographical location of that team. The WBCBL is not responsible for any promises made by WBCBL teams. Each WBCBL team is independently owned and operated. Some teams are “Club Based” and have member fees. Q: Is housing, meals, and/or transportation provided? A: Again, WBCBL teams are independently owned and operate. Each team operates differently and may or may not offer accommodations. A: REAL EXPOSURE. The WBCBL is a league designed to show scouts what you are capable of doing in “live” game situations. A: WBCBL Tryouts are held January – May. Keep checking www.WBCBL.com for details. You may also contact the teams directly for more information. Q: What are the requirements for players? 3. Good Health and in shape for Serious Competitive Play. Q: Where are the teams located? A: Currently: Atlanta-GA, Augusta,-GA, Charlotte-NC, Dallas-TX, Little Rock-AR, & Memphis-TN, Shreveport, LA. All WBCBL games are held at a single facility on Saturday or Sunday afternoons in each region. Female athlete with great potential looking for a team to play on… I attended the University of Detroit Mercy as well as Wayne State University, ended an all-american honors…. I am a very hard worker, who is driven. If i want something bad enough i can achive anything. Im 6’0 or taller, i have a strong athletic build. I can shoot all over the court but main position would be in the paint usually. Im very aggressive, an love the game of Basketball. I would love to hear from you soon. Thankyou for your time. The Women’s Blue-Chip Basketball League (WBCBL) is a new Semi-Professional league for women basketball players. The WBCBL’s mission is to provide highly competitive basketball for women in the United States. The competition level will vary from former College players to former NWBL and WNBA players and current International players. 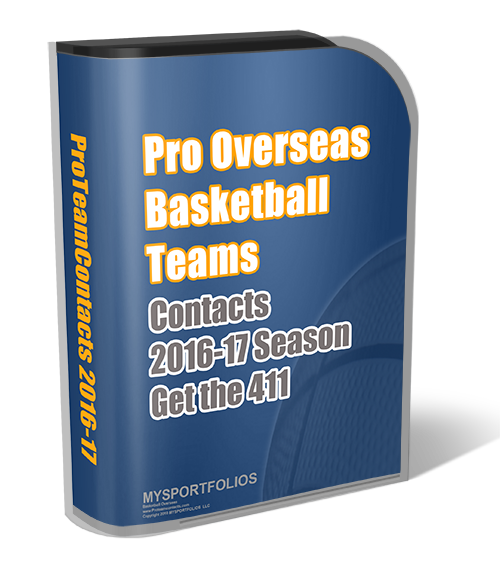 There are several teams that have not filled their rosters and need players ASAP!